Shilpi Cable Technologies, radio frequency (RF) cables manufacturer, is planning an Initial Public Offer (IPO) to raise around Rs 56 crore by end-2010 and plans to file its draft red herring prospectus (DRHP) with SEBI this week. The Company is planning to use the IPO proceeds for setting-up a wire and cable assembly shop, expanding its product portfolio and for manufacturing cables for 3G networks. The company also plans to manufacture low voltage power cables and cable accessories. The company caters primarily to the telecom sector and its products are used in telecom towers. This segment is poised for exponential growth over the next few years and hence, the company’s growth prospects are immense. 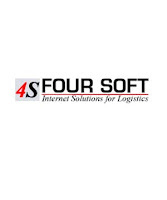 Four soft, a global leader offering software solutions for logistics and transportation industry, has signed a contract with, one of the leading custom brokers, freight forwarder and NVOCC company in US, namely, HJM International. 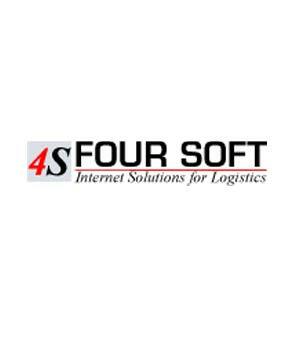 The contract will be executed through Four Soft subsidiary, four Soft USA Inc. As per the terms of contract, the company would implement its order management system 4S Visilog and its global freight forwarding application 4S eTrans across multiple location globally. Gold prices have made a start of gains on Monday, the US Federal Reserve Chief Ben Bernanke's statement, that the economic recovery had weakened more than expected and the US central bank will act if necessary has raised the demand for safe heaven. Gold futures for December delivery were trading higher at $1,238.50 an ounce against $1,237.90 on Friday on the Comex metals division of the New York Mercantile Exchange. 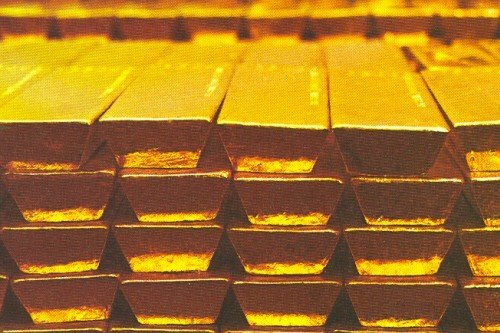 Spot gold was quoted $1 higher at $1,236.70 versus Friday's close of $1,235.70. In a move to memorialize the first anniversary of Ritz model, India’s leading vehicle maker -- Maruti Suzuki -- is all set to launch a special limited edition ‘Ritz Genus’ today. The limited edition, ‘Ritz Genus’ retains the best attributes of Brand Ritz and adds several exciting features, which include - a brand new signature colour `Emerald Blue’. The colour is accentuated through matching door handles and body colour rear view mirrors, the company said in its statement. The Ritz model, launched in May 2009, delivered the best ever first-year performance in the domestic automobile Premium A-2 segment by registering sales of whopping 68,130 units in its first year of sales. Till date, the company has sold over 86,400 Ritz models. The new variants will be available as an option on the Ritz VXi (Petrol) and Ritz Vdi (Diesel) models. Maruti Suzuki reported 29.2% growth in its monthly sales for July 2010. It sold total 100,857 units in July 2010 against 78,074 units in July 2009. 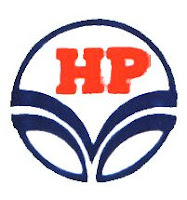 HPCL-Mittal Energy (HMEL),a joint venture company between Hindustan Petroleum Corporation and Mittal Energy Investment Pte Ltd, Singapore, is likely to come up with an IPO next year. Both partners hold 49% stake each in the company and the rest 2% is held by the financial institutions. HMEL will be building a Grassroot oil refinery of 9 MMTPA at Bathinda in Punjab, called Guru Gobind Singh Refinery Project. The refinery will produce petroleum products complying with Euro IV emission norms with Captive Power Plant for 165 MW and Crude Oil pipeline from Mundra (Gujarat) to Bathinda with Single Point Mooring (SPM) and Crude Oil terminal at Mundra. 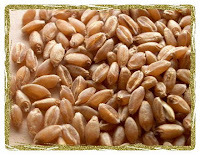 Wheat futures have continued their decline on Thursday, tracking the weakness in the global markets, Wheat for December delivery dropped 0.4 percent to $7.0475 a bushel on the Chicago Board of Trade (CBOT). 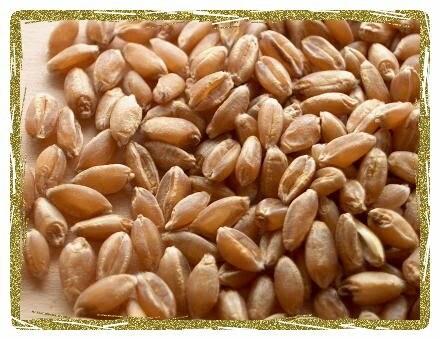 On the domestic front the abundant stock and expectation of bumper crops weighed down the prices. The contract for September delivery was trading at Rs 1226.80, down by 0.26% or Rs 3.20 from its previous closing of Rs 1230.00. The open interest of the contract stood at 28320 lots. The contract for October delivery was trading at Rs 1245.00, down by 0.08% or Rs 1 from its previous closing of Rs 1246.00. 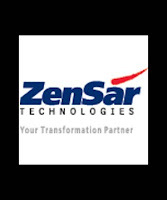 Zensar Technologies has joined hands with Microsoft to launch an innovative solution for the Small and Medium Enterprises (SMEs) sector for the domestic market. The Enterprise Resource Planning (ERP) solution unveiled by the company is powered by Microsoft’s Dynamics ERP. The web-based solution has been tailored to the specific needs of emerging Indian small and midsize companies that are facing multiple challenges of high growth, shortage of in-house IT systems and talent and budget restraints. 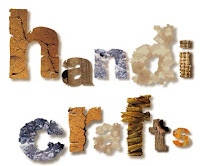 Further, the company is looking to transform 2,000 SMEs through the hosted platform by December 2011. Zensar Technologies is among the top 20 software services providers from India. It is the world’s first enterprise wide SEI CMM Level 5 company. The company has more than 5,300 employees with sales and operations presence across US, UK, Germany, Sweden, Finland, Middle East, South Africa, Singapore, Australia and Japan. 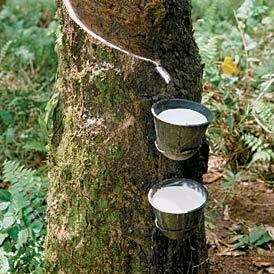 Physical rubber prices have made some recovery on Tuesday, breaking their four days losing streak. The gains in futures supported the prices while demand too was seen in the domestic markets and short covering occurred at lower levels. Meanwhile, against the recommendations of the Rubber Board, to give concession, the government has reduced rubber import duty to 7.5% from 20% and ordered for import of 1,00,000 tonnes. Spot price for RSS-4 variety closed at Rs173 compared to its previous closing of Rs170 while RSS-5 variety closed at Rs 163.5 compared to its previous closing of Rs 161. In the futures market, the contract for September delivery for RSS-4 improved to Rs 172.39 compared to its previous closing of Rs 169.93 while the contract for October delivery closed at Rs 167.2 compared to its previous closing of Rs 165.17 on the National Multi Commodity Exchange. Edelweiss Mutual Fund has announced daily dividend under Institutional and Retail dividend option of Edelweiss Short Term Bond Fund. The fund house has announced dividend of Rs 0.00239500 per unit for individual/ HUF, while the quantum of dividend for others was Rs 0.00223300 per unit for August 20, 2010 under institutional dividend plan. The dividend announced by the fund house under retail dividend plan for individual/ HUF was Rs 0.00232300 per unit and for others the daily dividend stood at Rs 0.00216500 per unit. The investment objective of the scheme is to provide reasonable returns, commensurate with moderate level of risk and high degree of liquidity, through a portfolio constituted of money market and debt instruments. Looking at the success of SKS Microfinance IPO, Spandana Microfinance, is also planning to raise about Rs 1,500 crore through an initial public offer (IPO). The second largest microfinance firm in India after SKS, plans to use these proceeds to build 10 hospitals. Spandana is planning expansion that include diversification into rural healthcare to cater to the needs of its women clientele. It is working on setting up at least 10 hospitals before March 2011. Hyderabad based Spandana Sphoorty Financial is ranked 6th in the world and 2nd in India in terms of outreach by Microfinance Information Exchange (MIX).Currently, stakeholders in Spandana include Lok Capital, JM Financial and Valiant, among others while the promoters' group hold nearly 50 per cent. Agriculture Minister Sharad Pawar has indicated that the Centre is going to discuss relaxing the ban on trading of sugar futures early next month. 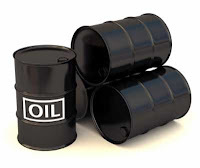 The ban, which was placed in May 2009 to avoid price rigging in commodity, is valid till end of this month. The decision on lifting over-a-year old ban will be taken after considering production level in September, the minister added. 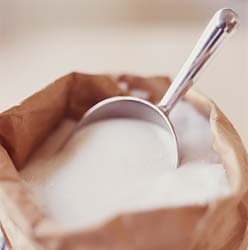 October to September is considered as sugar season in the country. Sugar prices have witnessed sharp correction since the beginning of 2010. In January 2010 the sweetener’s price was hovering around Rs 50 per kg level which has now corrected to around Rs 30 a kg. Change in the demand-supply dynamics is one of the major reasons for sharp drop in sugar prices. India’s sugar production is likely to stand at around 25.5 million tonnes in the next season against the demand of around 23 million tonnes. Edelweiss Mutual Fund has announced daily dividend under Institutional and Retail dividend option of Edelweiss Short Term Bond Fund. The fund house has announced dividend of Rs 0.00367000 per unit for individual/ HUF, while the quantum of dividend for others was Rs 0.00342100 per unit for August 16, 2010 under institutional dividend plan. The dividend announced by the fund house under retail dividend plan for individual/ HUF was Rs 0.00366700 per unit and for others the daily dividend stood at Rs 0.00341800 per unit. The investment objective of the scheme is to provide reasonable returns, commensurate with moderate level of risk and high degree of liquidity, through a portfolio constituted of money market and debt instruments. Prism Informatics has secured SAP implementation project in Thailand from THAI USUI Co. The company hasn't disclosed the value of the contract. Earlier this month, the company had bagged SAP implementation project in Sri Lanka from Lankem Ceylon, a market leader in agro chemical business. Prism Informatics formerly known as Aakruti Holding is one of the fastest growing software development companies, with most of the business coming from its ever satisfied repeat customers. The Reserve Bank of India (RBI) has on Friday said in a notification that the Core Investment Companies (CICs) that have an asset size of over Rs 100 crore will have to mandatorily register with the central bank. The aim of the new norms is to bring such companies into the prudential oversight of the central bank. A non-banking finance company which holds not less than 90% of its total assets in the form of investment in equity shares, preference shares, debt or loans in group companies will be considered as core investment company, the central bank said in its notification. The RBI had earlier said in its annual monetary policy review for FY11 that the companies which have their assets predominantly as investments in shares for holding stake in group companies but not for trading, and also do not carry on any other financial activity justifiably deserve a differential treatment in the regulatory prescription applicable to NBFCs at large. It’s been reported that Mukesh Ambani led Reliance Industries (RIL) may resume sale of its treasury shares. Petroleum Trust, which holds around 120 million shares representing 3.7% stake in the country’s largest private sector company, is likely to sell around 40 million shares in the near future. 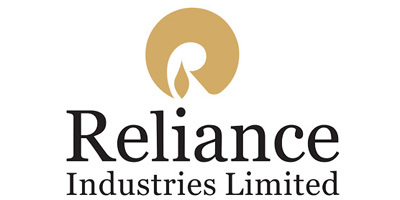 Reliance Industrial Investments and Holdings, a wholly owned subsidiary of RIL, is the beneficiary of the Trust. Petroleum Trust had received these shares following merger of IPCL with RIL in 2006. The company has already raised funds of around Rs 9,300 crore through three tranches of treasury share sale. 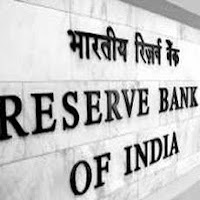 The Reserve Bank of India RBI has extended its list of sectors which receives interest subvention and included four more sectors - leather and leather manufactures, jute manufacturing including floor covering, engineering goods, and textiles. Interest subvention refers to the subsidy that the government gives on interest to the sectors in order to support their export growth. Under the government’s scheme the interest subvention of 2 percentage points is given on pre- and post-shipment rupee export credit and now it encompasses eight sectors including the recently added four new sectors, with effect from April 1, 2010 to March 31, 2011. Earlier, the Union Cabinet, on July 30, had released an amount of Rs 4,868 crore as interest subvention to public sector banks (PSBs), regional rural banks (RRBs), co-operative banks and to NABARD to ensure that the farmer, in general, receive short term crop loan at 7 percent per annum with an upper limit of Rs 3 lakhs on the principal amount during 2010-11. 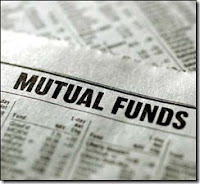 L&T Mutual Fund has declared dividend under dividend option of L&T Short Term Floating Rate Fund, an open-ended equity scheme. The amount of dividend for retail as well as corporate investor as on August 8, 2010 will be Rs 0.00108628 per unit as on the record date. The primary objective of the scheme is to generate regular income through investment in a portfolio comprising substantially of floating rate debt / money market instruments, fixed rate debt / money market instruments swapped for floating rate returns, and fixed rate debt securities, government securities and money market instruments. The Textile and handicrafts sectors are likely to obtain a fresh package of incentives from the department of commerce which has been busy of late, chalking out the list of sectors that currently need support from the government. The department is set to come out with a priority list by the end of this week for the sectors that are facing impediments in their track of recovery after being hit by the global meltdown, these sectors will receive a fresh incentive package by the month end in the annual foreign trade policy review to be announced by commerce minister Anand Sharma. The government has arrived to a consensus that there are many sectors that require some cushion in order to gain back their momentum post its interaction with the export promotion councils and business chambers. The export incentives that the sectors are in need of, require approval of both the commerce department as well as the revenue department. As a result the respective secretaries are expected to meet later this week to decide upon the magnitude of the package. Edelweiss Mutual Fund has declared daily dividend under retail and institutional dividend option of Edelweiss Liquid Fund. The amount of dividend declared for August 8, 2010 is Rs 0.00094900 per unit for both individual/HUF and others under retail plan while it is Rs 0.00095000 per unit for both individual/HUF and others under institutional plan. The investment objective of the scheme is to provide optimal returns, commensurate with low risk and high degree of liquidity, through a portfolio constituted of money market and short-term debt instruments. Gold prices have firmed up further on Monday and are keeping near its strongest in three weeks tracking the weak dollar following a dismal US nonfarm payrolls data. The yellow metal is at its highest since mid-July, on safe-haven buying driven by the US data and physical buying from jewelers and investors in Asia. Gold futures for December delivery rose $1.9 an ounce to $1,207.2 an ounce on the Comex division of New York Mercantile Exchange. 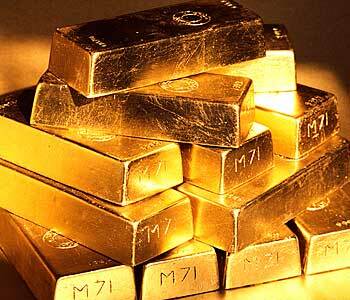 Spot gold has added $1.15 to $1,204.45 an ounce after rising as high as $1,212.61 on Friday.